Never miss out on the next big thing. Strategically grow, maintain, or decline products and trends based on market supply and consumer demand signals. Surface trends that are right for your customer based on social buzz, consumer search patterns, and market penetration. A major national department store uses Trendalytics to find in-season chase opportunities during their monthly “open to buy” meetings. They identified cropped flared jeans as an emerging trend with early adopters. 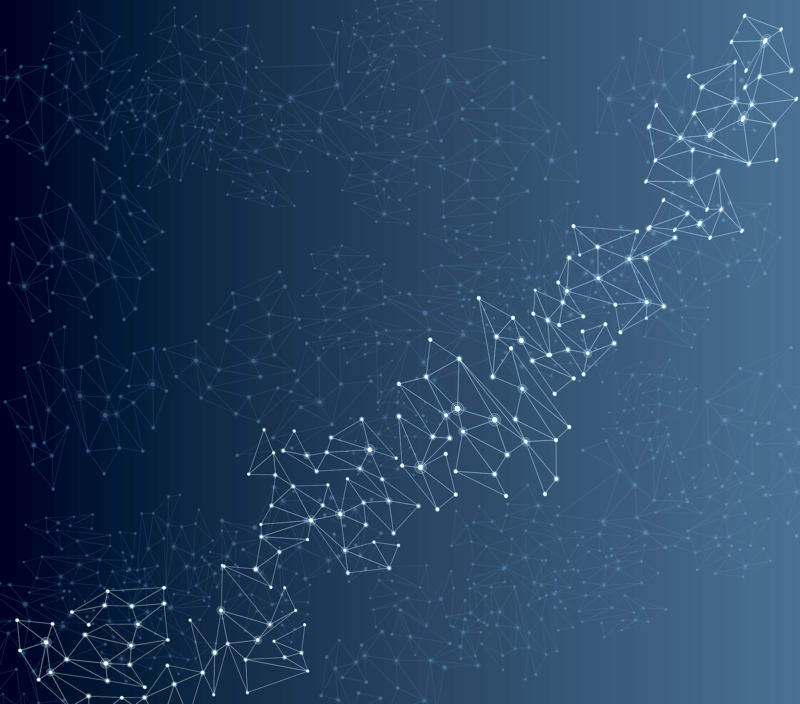 Although at the time the trend was too early for their market, they started monitoring the search growth and social actions and will chase into the style when it is relevant for their customer. 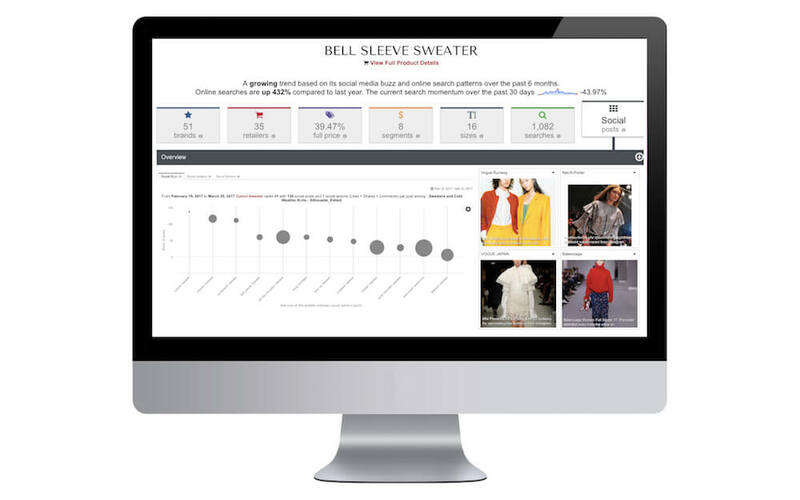 During fashion month a private label manufacturing team identified a sweater trend with high social buzz related to one of the runway shows. 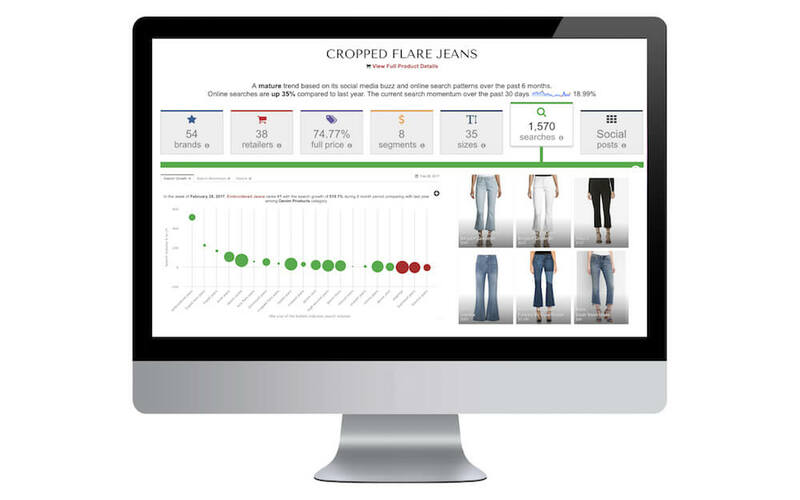 Using Trendalytics they put together a presentation of relevant social images, search volume, and current product SKU’s. They then pitched this trend back to their customers and secured incremental styles and chase units. Joggers were a top selling SKU at a specialty retailer for several seasons. Wondering if the trend was about to fall off, the merchant and design teams asked the question, are joggers still relevant? 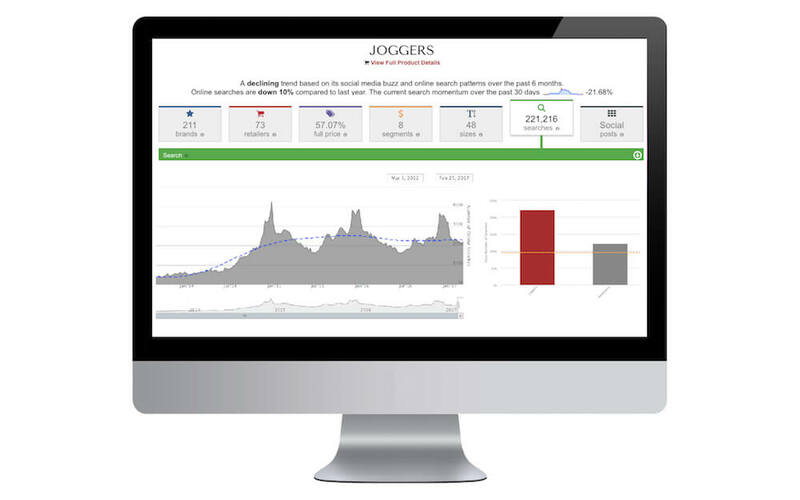 The team saw joggers still had significant search volume and 40% more people are searching for joggers than sweatpants. Despite the flat growth, the team felt confident they could capitalize on sales volume for another season and reassorted into jogger styles.